While the divorce process is never easy, this Florida divorce guide provides some general information to assist you in making your divorce as trouble-free as possible. One of the main functions of the divorce process is to divide the assets and debts of the marriage. In order to do this, you must know what there is to divide. Create a list of all of the assets and debts regardless of whether the asset or debt is in your name or theirs, and collect any documentation you can obtain about any assets or debts. Anything that has value is an asset. Many assets of the marriage are obvious – the home in which you reside, bank accounts, pensions, vehicles, artwork, etc. Other assets may not be so obvious – such as things like stock options, deferred compensation, or proceeds from a pending lawsuit. It is also important to collect any documentation showing your income and the income of your spouse. This information is important for a number of reasons but especially in situations involving child support, spousal support, and attorney’s fees. If your spouse is self employed, it can be difficult to prove their actual income. At this point, gather whatever information you can. It is unfortunate, but in some cases a spouse may be unwilling to be entirely honest in regards to their assets and income, and you may find that they will begin concealing or hiding documentation regarding assets and income. This is why it is important to gather whatever information you can while it is available, and to keep it in a place that cannot be accessed by your spouse. It is usually best to make two copies, one for yourself and one for your attorney. If you retain our services, we will ask that you make two copies for our office, as this will save our office from having to make additional copies of financial documents which are required to be provided to the other side through mandatory disclosure, thus lowering your costs for our services. Prepare two budgets, one that shows the situation in the house before the divorce filing, and one that is your estimated budget for after the divorce. It is important to know what it currently costs to run your household. This is helpful to show what your “marital standard of living” is. Additionally, it is important to know what your costs of living will be after the divorce. 1) In an alimony case, it is critical to show the standard of living and the financial need. 2) It is helpful in assessing specific needs of the children that may not be covered in basic child support (e.g. particular medical needs or private school expenses). 3) It will help you in planning your post-divorce budget. 4) If your spouse is self employed and under reporting their income, it would be helpful to show that their monthly expenses exceed what they claim their income is. This can show that they are attempting to hide their true income. 5) A judge may utilize this information to determine temporary support while the case is pending. In setting out your budget, try to be as realistic as possible. You should be conservative in your budget (meaning don’t understate the expenses and end up stating a budget that doesn’t realistically meet your needs) without grossly overstating the budget (which a judge would frown on should the case go to court). The best advice is to base your budget on the most accurate numbers possible. You may also want to photocopy your monthly bills and receipts to provide proof of your expenses, should they ever come into question. Inventory and photograph your household furniture, art, jewelry and other items of value. Inventory and photograph the contents of any safe deposit box or family safe your family may own. Also, photocopy any important documents in the safe or safe deposit box (if you did not already do so when collecting the financial records). It is unfortunate, but often these documents and property will “disappear” once the divorce process starts so get your proof in place now. Additionally, you may want to consider safeguarding any items of particular value (either monetary or sentimental) which are small in size. I am referring primarily to things like the jewelry your mother passed down to you, your father’s fountain pen, your high school yearbook, your childhood photo albums, etc. Your spouse may not share your desire to divorce with dignity. Better to safeguard those items that are particularly difficult to replace. Do not empty your house of all its contents though. That is a sure way to escalate the divorce and guarantee that you will not have a civilized divorce. Things like dvd players, camcorders, and laptops can be replaced. Just document those on your inventory and photograph them for proof in the event it is ever needed. If you’ve already completed the items above, then you may already know what accounts exist and what the balances are. You need to make a decision about what to do with them. It is an unfortunate reality that one of the first things that some spouses do when they learn or decide that a divorce is imminent is to empty out or transfer the financial accounts. In a perfect world, neither party would touch the financial accounts except to pay normal household bills until after the divorce is over. In fact, in most counties in Florida, an Administrative Order is automatically entered when the divorce is filed that prohibits the parties from taking money out of accounts except to pay ordinary household bills. However, it is not always a perfect world. We do not recommend that you clean out the accounts. Doing so will immediately escalate the conflict and stress of divorce. It also will not be well received by the Court and could subject you to sanctions, including contempt of court and possible incarceration. However, you do want to be protected from your spouse cleaning out your accounts. If you have a reasonable fear that your spouse will raid the accounts, the only solution is to remove one half of the funds from the accounts and put them in a new account in your own name. Do not hide, dispose of, or waste the money. Document carefully where every penny is spent because you will likely need to make an accounting of it later on. Additionally, you should not do this for the regular checking account out of which the household expenses are paid unless there is a substantial balance in the account over and above the amount needed for paying the current month’s bills. You do not want to take action that would cause checks to bounce. This is not a blanket suggestion. If the money can be kept there and neither party will remove it, that is preferred. Another option for certain types of accounts is to put a freeze on the account. Obviously that is only practical for accounts that are not regularly needed to pay bills and regular expenses. Before you decide how to handle your financial accounts, consult with a lawyer. If a divorce is imminent, you do not want to be liable on any accounts on which your spouse has charging privileges. It is not unheard of for an angry spouse, upon learning of a divorce, to run up charges on all the credit cards. Likewise, some lawyers may advise their clients to take out cash advances on joint cards to provide a cushion while the divorce is pending or to charge a large amount in lawyer’s fees on to joint cards. You will want to consider canceling such joint accounts or at least reducing the spending limits. Be aware that this may have an adverse effect on your credit score. However, this temporary inconvenience will be more than offset by the peace-of-mind you will have by knowing that your spouse cannot run up credit in your name. If your spouse is an authorized user on charge cards in your name, see what steps the credit card companies require to remove them as an authorized user, and consider removing her as an authorized user. Also consider home equity lines of credit. You may need to consider whether you should close it or restrict access pending the resolution of the divorce. Whatever you do, do not neglect thinking seriously about how to handle this issue, and discuss it with your lawyer before making a final decision. If you do not have your own credit history, you should begin the process of establishing it now. Obtain a credit card. You will need to have your own credit established after the divorce. The sooner you begin this process the better. So don’t wait until after the divorce. Remember that your goal is to maintain an excellent credit record though, so make any payments owed on time and don’t take on debt you can’t afford. While you are in the middle of a divorce, or even if you are just thinking about it, you want to be conservative with your finances. Now is not the time to be putting in a pool, buying a new car, or buying new furniture on credit. You want to simplify your financial situation, not make it more complex. Your own specific situation may require you to vary from this advice. For example, there are times when you may have to get an automobile and it would be better for you to make this purchase before the divorce is final because on your own, you will not have sufficient credit to obtain a loan after the divorce. Before your divorce can be fully resolved, you and your spouse (or the Court if you have a trial) will need to allocate who will be responsible for which debts. Generally speaking, the less complex your debt situation is, the easier this task will be. 1. It could jeopardize your custody claim. If you end up in a custody dispute and you leave the house while the children remain with your spouse, then you will almost guarantee that you will not receive primary custody. If the case becomes contested, it could drag out for many months (even several years). If your spouse has had primary physical custody that entire time and you’ve had alternate weekend visitation, then unless your spouse has made major mistakes in the interim, they will likely maintain primary custody. 3. You will lose leverage in the negotiations. You want the divorce, your spouse doesn’t, and you decide that you have to get out of the house. You move to an apartment and are paying your rent as well as the home mortgage. Note: you may be required by the Court to keep paying the mortgage as long as the case is pending. You have just given your spouse a major incentive to drag out the litigation. This happens all the time. Eventually you decide to settle for less because you can’t keep paying for two households. Do not make this mistake. If domestic violence is an issue, then all of this is moot. You will need to take whatever steps are necessary to protect yourself. Remember to keep your lawyer informed about what is happening in your situation. If the Court finds that there are grounds to issue a permanent injunction against domestic violence, your spouse may be removed from the marital home. Anything you say, write or post may come back to haunt you later. This is especially important in the world of technology that we live in. The rule is that all communications between you and your spouse should be polite and civil. If you feel that you are about to break this rule, step away from the situation and go cool down. The judges are not your family members or friend who will “know what you really meant” when in a heated moment you left a message to your spouse that contained several threats or expletives. 1. Phone Messages, Letters, Notes, Emails: Only when necessary and then keep them polite, civil and to the point. This applies to text messages as well. In extremely hostile situations it can become necessary for all communications between the parties go through their attorneys. If your spouse leaves a hostile message, letter, note, or email make a copy of it and provide it to your attorney. 2. Network Groups (Myspace/Facebook/Linked In/Etc. ): Remember to be cautious of what you write or post online. Do not post any pictures of you consuming alcohol or letting loose with your friends. Tell your friends to be professional about any comments they send to you that may be viewed by others. If you already have posted pictures to your account or have comments posted which could be taken out of context, remove them from your account. 3. Passwords: Change your personal passwords to your email or networking group accounts immediately. Your spouse may know your passwords, even if you believe they don’t know this information. In addition to the information they may gain from these accounts, they may also attempt to use your own account against you by sending emails or messages to themselves or others that appear to be coming from you. 4. Mutual Friends: Be careful what you say to your friends and even your family in some cases. The person you may be confiding in or revealing information to may be providing it to your spouse. Your spouse’s attorney may call them as a witness and use what you said against you. Remember in cases involving child custody, the court will consider the parents willingness and the ability of each parent to facilitate and encourage a close and continuing parent-child relationship between the child and the other parent. Any hostile communications about your spouse may come back to hurt your case later in this regard. Note: It is unlawful for a person to record another person’s conversation without their knowledge. In other words you cannot record your phone conversation or personal conversations with your spouse without their knowledge and consent. You want this unpleasant process to be as amicable as possible. Unfortunately, this is not always possible. For whatever reason, your spouse may not share that objective. You want to control the aspects of your life you can though to keep the situation from escalating. This means no dating, no carousing, and no partying. During your divorce you want to be above reproach. If custody may be an issue, it means making the children your number one priority (they should be that anyway). In a divorce, even things that are perfectly legal and harmless any other time may be twisted to look suspicious or worse by your spouse’s attorney. For example, If you are out partying, and custody is an issue in the case, these questions may be asked by your spouse’s attorney: While you chose to go out drinking with your friends, who was at home taking care of the children? How many drinks did you have that night? This is something you routinely did during the marriage, isn’t it (i.e. choosing social events over your family)? Etc. Another problem is that this may cause increased hostilities from the other party. You may have resolving all of the issues and be about to enter into a settlement agreement when the other party suddenly becomes aware of your indiscretion or sees you in public on a date or partying. Suddenly, they no longer are willing to settle and you end up paying for more litigation. Note: This guide is designed to provide only general information. 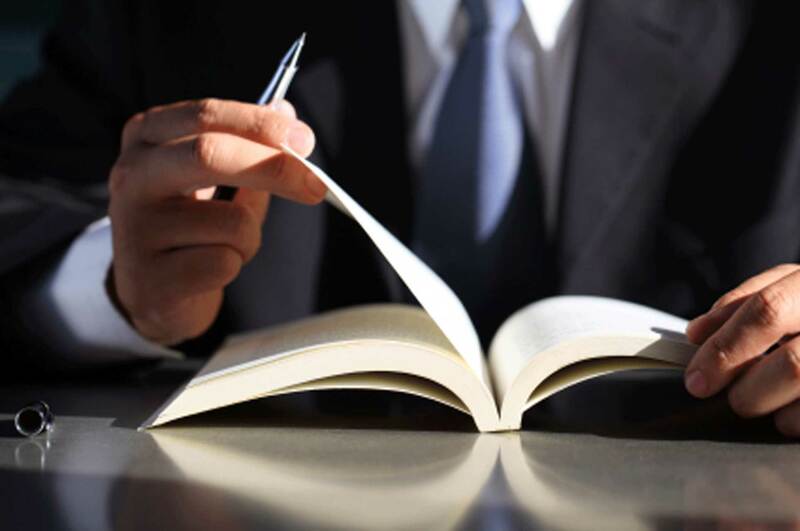 The facts of your case are unique, and you should consult an attorney for advice regarding your individual situation. Speak with an experienced Orlando divorce attorney about your individual situation. Attorney Joel Wilson has over 15 years of experience and has handled thousands of cases during his legal career. He understands both the legal and emotional issues involved in divorce and family law cases and is an experienced trial attorney. While most divorce cases do not result in a trial, there are some that will, and when a case cannot be resolved except by trial, you will want an experienced trial attorney to present your side of the case in a persuasive and effective manner. 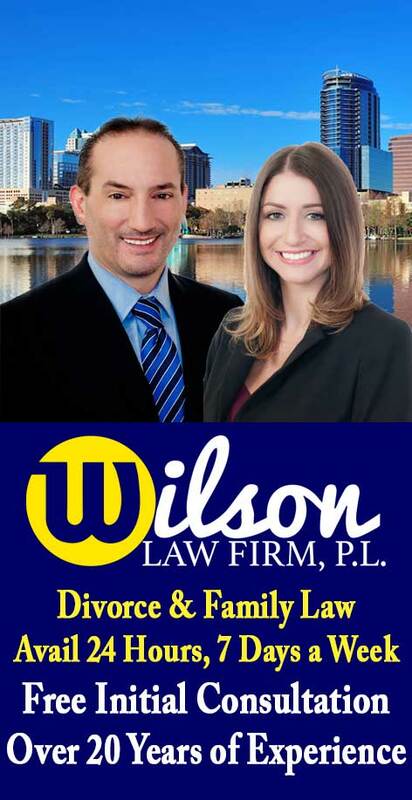 Florida Divorce Guide – The Wilson Law Firm provides a free initial consultation with an Orlando divorce attorney and Orange County Florida family law lawyer. Call us today to speak with an experienced Orlando divorce attorney about the legal process and your rights.